Constitutional isomers are compounds with the same molecular formula but a different chemical structure, i.e. differing in the way the atoms are connected a.k.a different constitution. These isomers are also called structural isomers since different atomic configurations can lead to different functional groups/branching patterns. We know that isomers are chemical compounds that have the same molecular formula but a different chemical structure. And that isomers can be sub-classified as a constitutional isomer and a stereoisomer. Hence, to determine if the isomer is a constitutional isomer or not, we must check its connectivity i.e. the difference in functional groups and branching patterns. This feature is not exhibited by stereoisomerism, which depends only upon the different spatial arrangement of atoms. 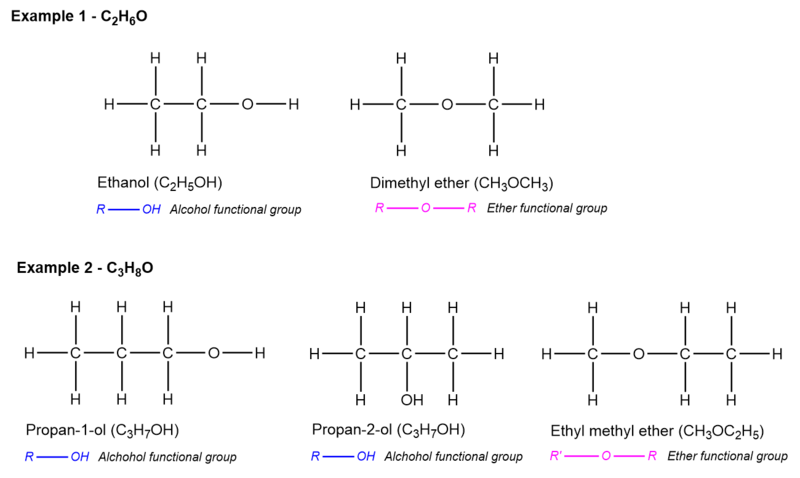 Note: Example 1 shows the difference in functional groups and example 2 shows the difference in both, functional groups and branching patterns.